Cleaning teaware is about nuturing it. 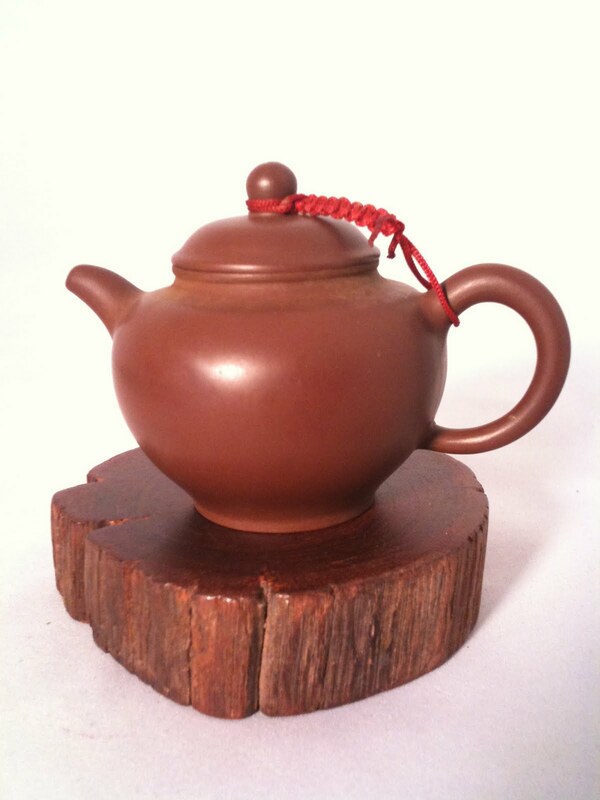 Teaware is an investment to the practice of the art of brewing and drinking tea. It will become your heirloom pieces. Great care must be taken in the cleaning process. Like all tools, when well cared for will last a lifetime, perhaps becoming an heirloom. Wash teapots in hot water with no soap. Teapots that are made of clay must be primed before first use. This will remove the residue of any loose clay sediments. Teacups, if they are porcelain, wash it with soap and hot water. If the cups are unglazed rinse well in hot water rubbing it with a paper towel, no soap. •Remove the old tea leaves from the teapot. •Rinse thoroughly in hot water without soap and leave the teapot to air dry. 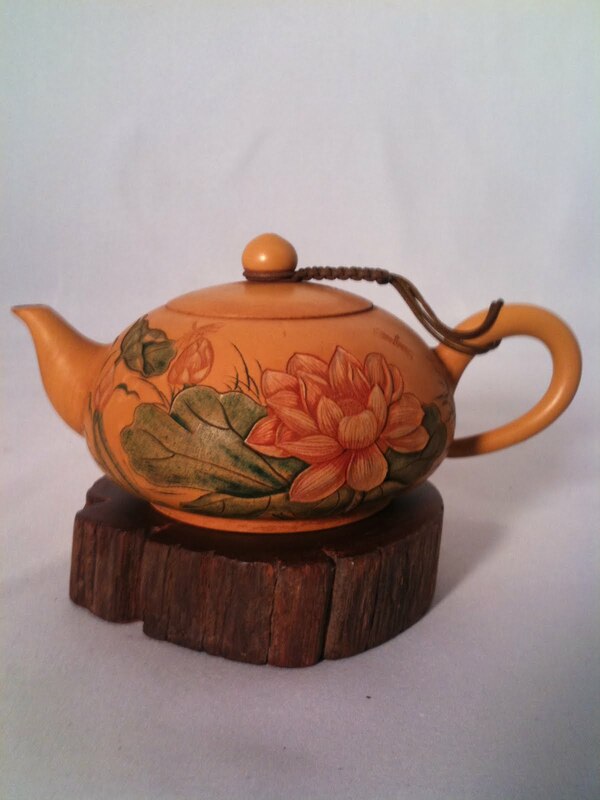 •DO NOT USE SOAP OR ANY DETERGENT WITH YOUR CERAMIC/CLAY TEAPOTS. to remove water stains and to polish it. •Make sure your teapot is air dried completely before doing the following. 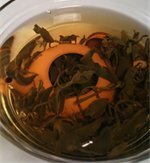 •Put a little of the unbrewed tea leaves in the dried teapot and store away until next use. •This will infuse the pot with the with its aroma. •Rinse the pot in hot water a few times. 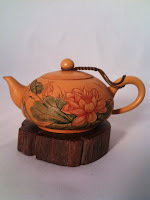 •Soak the teapot in a strong infusion of the particular tea you will use for that teapot. •Leave the teapot overnight in the infusion. •Next day, remove the teapot from the infusion and rinse thoroughly in hot water without soap. 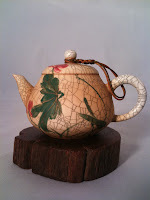 •Air dry the teapot before storing away. 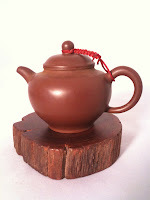 It is recommended that ceramic/clay teapots be designated for one type of tea per teapot. Ceramic/clay takes on the characteristic of whatever it contains and will therefore influence flavors and aromas. 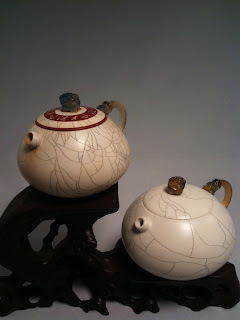 Porcelain teapots may be used with multiple types of tea. The teapot to the far left is about 15 years old and used with an aged puerh tea. 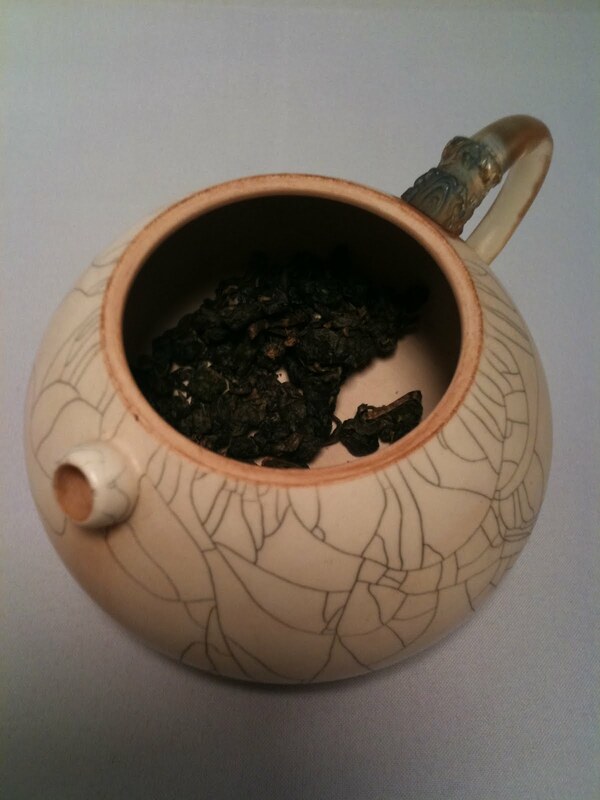 The teapot in the center is about 2 years old and used with a raw puerh tea. 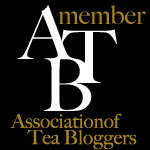 The teapot on the far right is about 13 years old and used with Alishan premium tea.